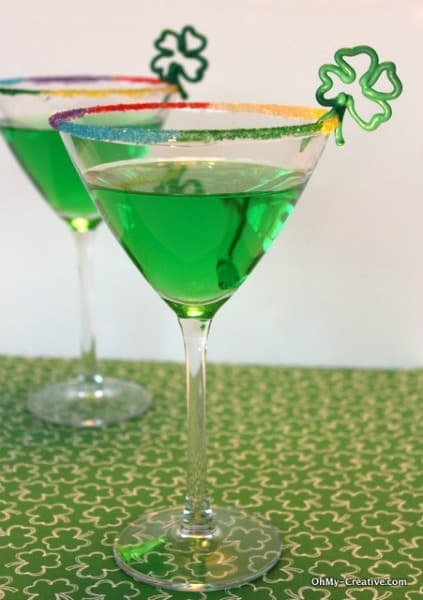 On St. Patrick’s Day, everyone must have some green St. Patrick’s Day drinks! This is a collection of delicious drink recipes so in order to view the full recipe for each, you must click on the title of each recipe. Be sure to bookmark or pin them so you don’t forget about the delicious green drink ideas when St. Patrick’s Day rolls around! You don’t have to reserve them only for St. Patrick’s Day – many of these would make delicious drinks on a hot summer day. 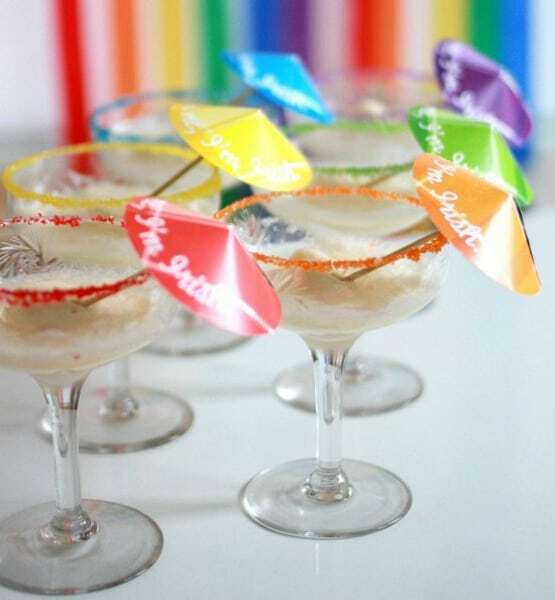 These rainbow rimmed St. Patrick’s Day drinks on Oh My! Creative are so beautiful! This is certainly a unique drink that your guests will love. This St. Paddy’s Day Punch by Lulu the Baker looks very refreshing. I have a feeling that your little leprechaun’s will gobble this one up in no time! 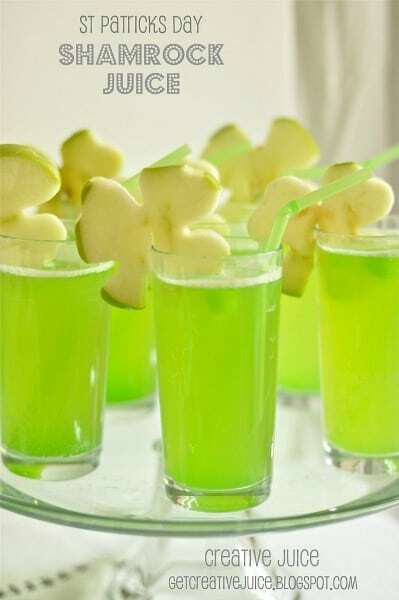 Mindy with Creative Juice had me at Popsicle ice cubes in this delicious Shamrock Juice recipe. Check out those adorable shamrock slices on the rims! When is the last time you made yourself an ice cream float? 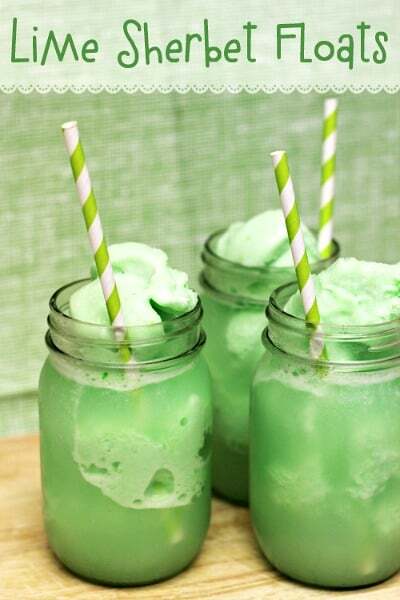 These Lime Sherbet Floats by Home Cooking Memories look just as fun to make as they are to drink. 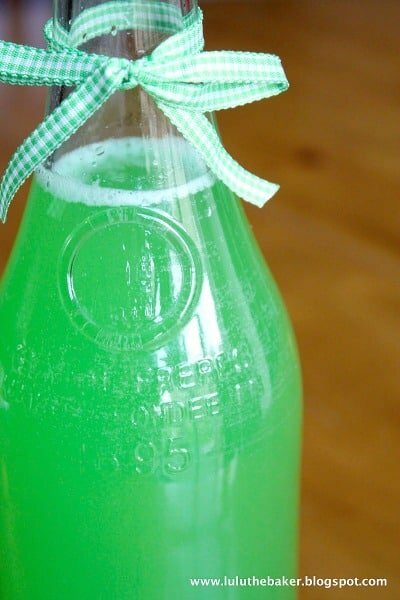 This Leprechaun Lime Punch on Pizzazzerie sounds so delicious & refreshing for a hot summer day! 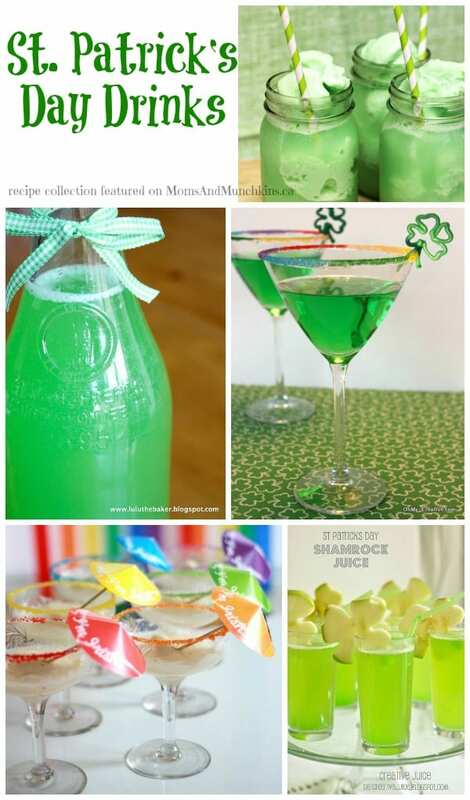 Looking for something festive to dress up your St. Patrick’s Day drinks? Check out these free printable St. Patrick’s Day drink umbrellas by Paper & Cake. Be sure to visit our St. Patrick’s Day page for more delicious ideas like Irish meals, desserts, party ideas, free printables, activity ideas and more! Thank you for featuring my St Patrick’s Day floats! So many great drinks in this list! Pinned. Thank you so much for sharing, Brandie!